Walk a mile or two under the absolutely stylish veneer provided by this Blue Whizz Designer Tunic for Women, a stunning design by Snehal Creations. 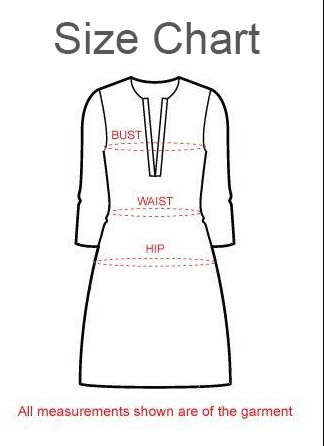 This simple round neck long tunic is an appealing arrangement of textured white cloth, grey printed panels at sides and a funky vari-coloured broad border alongside a black one. Royal blue contrast sleeves run three quarters of whole length and are provided with a broad taping in grey color. A multicolored neck panel looks exceedingly graceful and provides the necessary jazz.